Aimed at bringing equality among all passport applicants, the move of taking away from travel agencies the business of processing of passport application will now be implemented. Those who will be hit hard by this move are some travel agencies that derive their income mostly from processing of passport application and renewal. Starting June 21, 2013, travel agencies can no longer process Philippine passports. 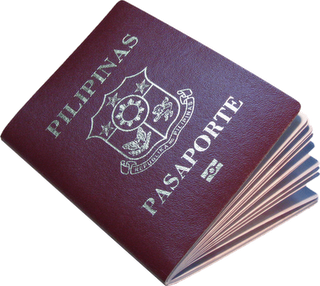 The accreditation of travel agencies by the Department of Foreign Affairs (DFA) to provide passport-related services will lapse on June 20, 2013, after it was extended from December 31, 2012. “All applicants will have to go to the DFA in order to have their biometrics taken and other information that will have to be provided to our passport office so that’s why we have seen that the role of travel agencies will be curtailed because of those requirements,” DFA spokesperson Raul Hernandez said. Travel agencies, however, may assist passport applicants only for the purpose of collating the required documents needed to secure a passport. The DFA accreditation of travel agencies for this limited purpose will start in July 2013 up to June 2014. Under the new guidelines, “there will be no special privileges for passport applicants who go through travel agencies” according to Hernandez. He said that the only difference between applicants who go through travel agencies and those who do not is that the former may pay the processing fee at any Landbank branch. Gone are the days when travel agencies could give special privileges for their clients, including guaranteed same-day processing and access to passport express lanes. Yes, folks. Basically, this means that you have to apply for your Philippine passport or its renewal by yourself. Assistance by the accredited travel agencies will be limited to the facilitation of documents needed for passport application. Don't you worry. You can very well do it yourself. For first time applicants of Philippine passports, click HERE. To secure Philippine passports for minor children, click HERE. For renewal of Philippine passports, click HERE.